Carolyn Mahaney has just launched a revamp to her website and moved it to a new home. 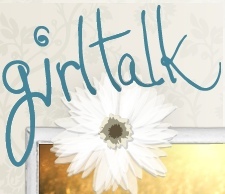 It is a beautifully designed website, but it is the resources and blog posts that really make girltalk great. It covers a multitude of topics including motherhood, singleness, marriage and many more. A lot of the series are in pdf format which makes them really easy to access. Also in the resources page you can access mp3s that Carolyn has recorded including True Beauty and What Does It Mean To Be A Woman. Obviously I’m not a woman so I’m not the target audience, but I’d love to hear what some of you think about it. What is your favorite article?